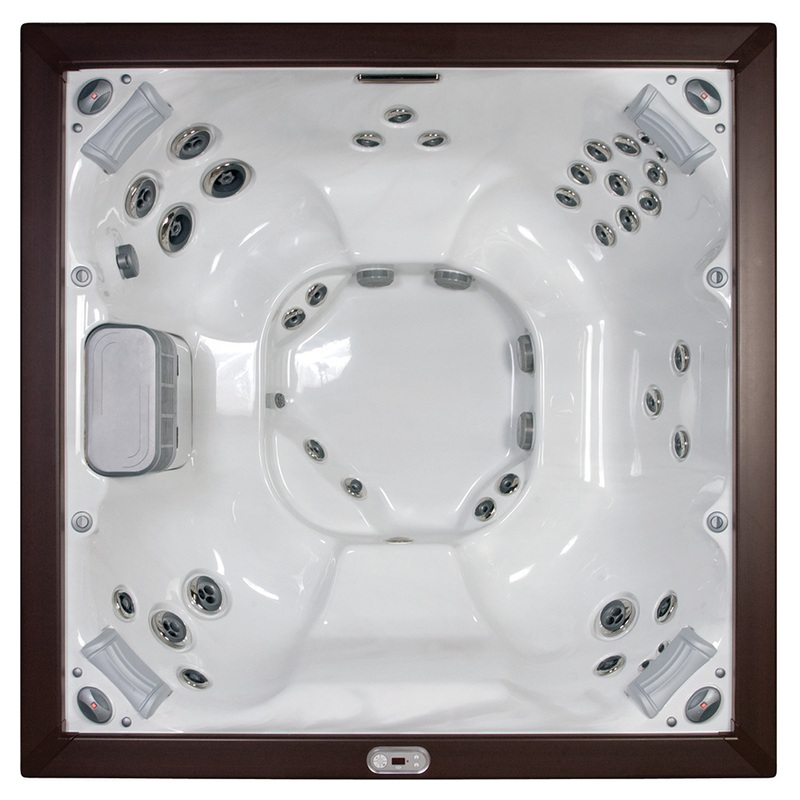 With J-LXL®, thanks to 36 adjustable Power Pro® jets, it's possible to enjoy the wellness of a complete Jacuzzi® hydromassage with six seats. 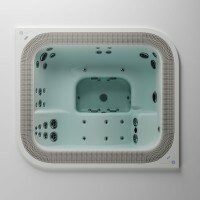 It boasts a filtering system with ProClearTM technology and, just like all the other Jacuzzi® spas, it's also provided with the CLEARRAY® device for perpetually clean and sanitized water. Thanks to a protective coating that is about 4cm thick and to its TrifusionTM structure, its heat insulation is the most efficient of the category. 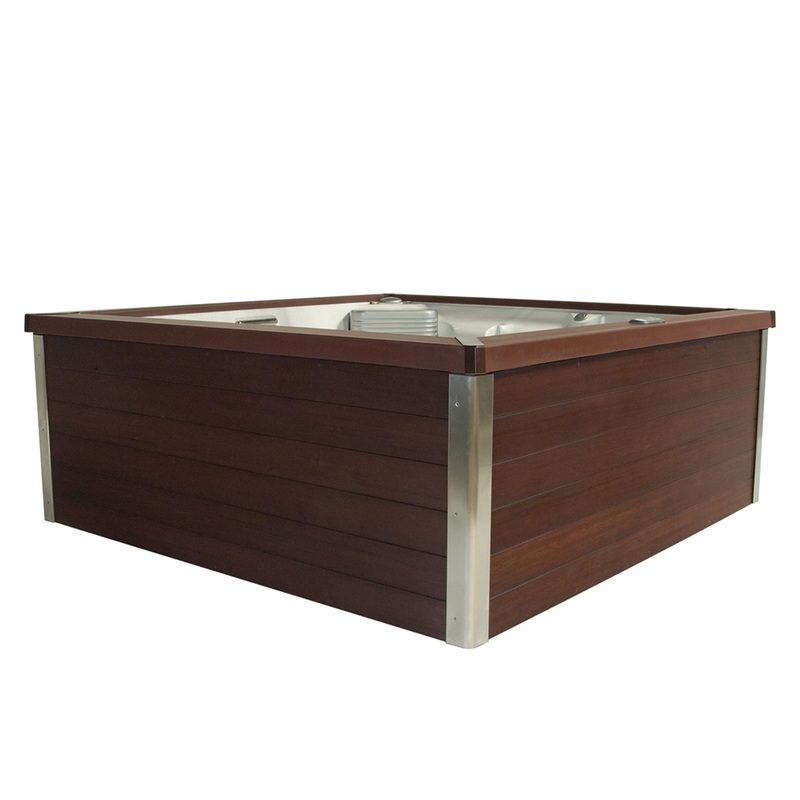 A flat deck top without visible acrylic parts and the steel details in the outer corners give it a more contemporary appeal. 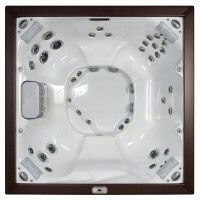 From its design to its features, everything about this Spa is consistent with its highest energy efficiency rating. 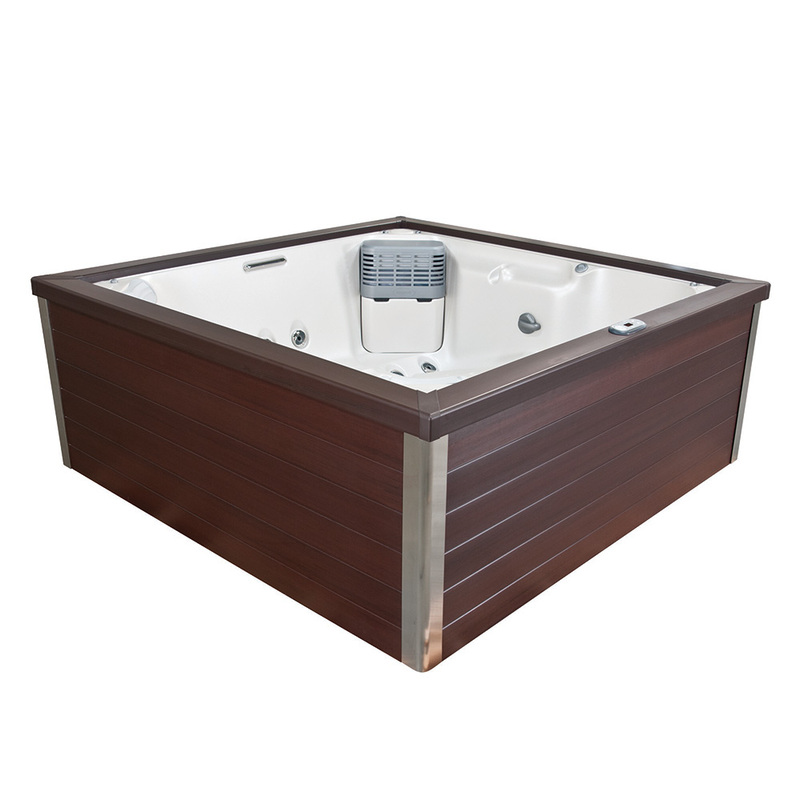 Combining the best elements of the current J300TM and J400TM series Jacuzzi® Hot Tubs, the J-LX® offers several features to enhance comfort including redesigned pillows, improved ease of entry with multi-tier cool down seat, and smarter jet placement for a vigorous and luxurious hydro-massage, whilst the underwater diverters make it easy and convenient to adjust jet flow.Clever engineering by Jacuzzi® designers means cleaner water with minimal effort as the J-LX® high flow pump refreshes water up to 7 times more often than other models on the market. Using less energy, the J-LX® filters 16,000 gallons of water per day. This efficient, energy saving system ensures that J-LX® reduces energy usage by up to 48% compared to other models in its class. ENERGY EFFICIENT WITH INTERGRATED WATERFALL..